So I decided to put in my twenty hours after my break and learn Ansible. What it is at its heart, is a recording & playback engine for setting up computers. 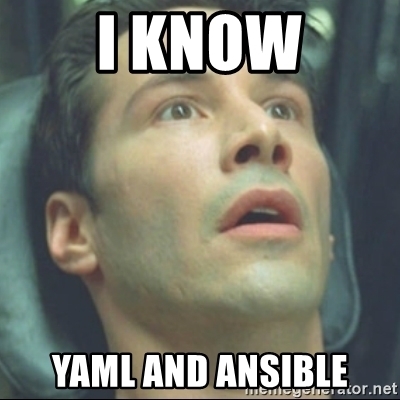 You record the steps you usually do, in a text file, using a language called YAML on your mac or pc or what have you. And then you playback those actions on your server or target pc. Ansible gives you primitives, the basic building blocks, called modules to do just about anything you wish. And that’s about all I wanted from my basic machine so far. Running the script start to finish takes about 30 mins and I have a machine ready to go! Doing all that by hand is fraught with errors and takes me nearly half a day. Every other task I need done now, I’ll start doing via Ansible. There’s obviously lots more to learn. The playbook (my recording) started from nothing and has now grown to an unwieldy 200 odd lines. I can hive them off into other files and call them seperately. I can optimize what I’ve written, and make it portable, so that I can setup any server I wish, not just mine. I did this, so I could have a machine to trash and rebuild quickly. Now that I have one, Python, here I come. It also gave me a small sense of how coding actually works. It was slow steady progress. Building a bit, testing, iterating, tinkering and playing. And at the end of the day, I have something that I can call my own, something I built and something that makes my work easier. By Jove, this is going to be fun!